I am looking at importing what I hope will be a good choice for restoration, probably from the States ? Welcome to the forum, Tony. I have a '67 OTS and I think that it's the ultimate E Type. I will admit, though, that if you ask the owner of any other model or year and you'll get the same response. Bottom line, they're all wonderful cars and a blast to own, drive and show. From the time that I saw my first E Type, I always lusted for one. I transitioned from a '78 Spitfire to my E and even after about 46 years of yearning, it exceeded my greatest expectations. Good luck with your search, feel free to ask more questions as they pop up and keep us updated. For comparison, take a look at Trev's '67 coupe in the Wanted/For Sale section of this forum. When making such a purchase, you can't have too much information. Funny thing is, a long time before I acquired the TR5 I owned a GT6 for many years "the poor mans E Type"
1. Obviously a rough car, probably a Hagerty condition 3. It needs considerable restoration but you at least have something to work with. 2. Body is questionable. It appears that bondo has been applied to the boot lid and perhaps the bonnet. Body repairs are EXPENSIVE! Particularly if you have to start replacing panels, frame rails, etc. 3. Exhaust system is shot; I've never seen resonators that were that badly rusted. 5. Frame rails are black so car has obviously been resprayed in green; perhaps right after bondo was applied. finish is in poor condition. Proper body work (if panels aren't too rusted to be salvaged) followed by decent paint job are again, EXPENSIVE. 5. Very minor point: I believe that this early '67 car should have arm rests on the doors; arm rests were deleted on the Series II's. My best advice is to get Pete's book and read it carefully. It will save you a lot of heartache and expense in the long run. Some of the best advice that I've heard is buy the best car that you can afford and go from there. a hint on what you are looking for in terms of level of condition will help giving sound advice. The green OTS will be a nice E once well sorted, but as is reg pictures doubtfully a MOT-worthy driver. Are you looking to get an immediate driver, or are you looking to do substantial work? The latter is my guess on the green car. Hi Tony,I suggest joining Jag Lovers as well,a lot of good people on there some of whom might be willing to inspect a car for you if they live near by.Some insane asking prices out there,check out Beverly Hills Car Club to see what I mean, much better if you can find a private sale. Hi. Welcome to the forum. I would also cautiom you on buying a stored “rust free” cat. The one you are looking at has spent it’s life in Georgia and Chicago. Those are both high rust areas of the US. I have attached 2 photos of the 67 ots I am restoring presently. One is of the car when I dragged it out of storage last fall and the second one is a recent photo after I finished blasting it and cutting out all of the rust. This was a western Canada car which is not a traditionally high rust area. My point is you can probably expect most E types to be in similar shape to mine or worse. If you really expect a non rusted example make sure it is inspected by an expert and expect to pay quite a premium for it. 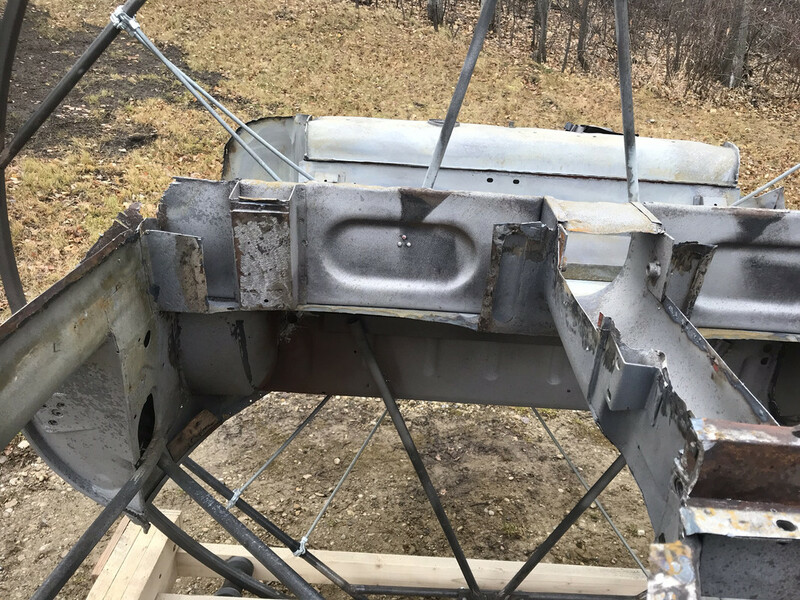 There are lots of pictures on the Classic Jaguar site out of texas that show what is under the paint in most of the cars they get in for restoration. By all means buy an E. just don’t trust that there are not serious problems under the shiny paint. Good Luck with your search. Geoff. 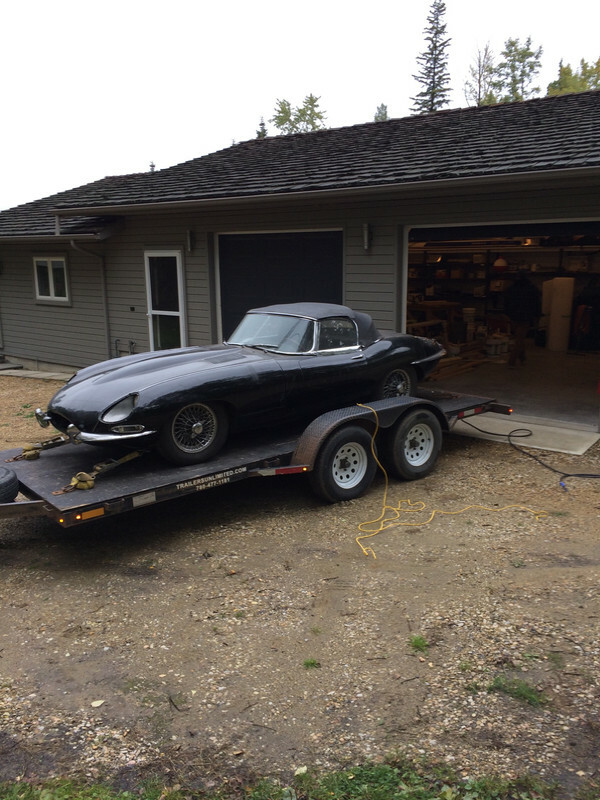 Just as an add on to my previous post,Bring A Trailer is by far the best source of what E types are selling for in America from rust buckets to nicely restored cars! Car looks pretty complete. Apart from the alternator it seems pretty original. What do they want for it? As a guide, we have just finished a ground up resto on a S1 2+2 manual car. This cost the owner $150k plus purchase cost, and we are very cheap in Australia. The high end boys in the Eastern states can easily double that. My current personal resto is a 3.8 coupe. It was appallingly rusty and I have spent somewhere around $16k on new panels with a total for the body resto being near $60k, although it is pretty much perfect now. Unfortunately I think that our panel guy is retiring and has done his last E type (he's done around 30). My total personal cost will be $110k which includes all bodywork paint and trim but I do everything else myself. Other approximate costs are engine rebuild $6k machining, $3k parts $4k labour. IRS $2k parts plating and powder coat but probably $5k labour. Gearbox $2k total. Wheels around $3k depending on what tyres you choose. Trim $10k. Rechroming at least $5k. Wiring loom $1k, rubbers $500. In Australia at the moment the car you are looking at would be worth in excess of $250k fully restored. When importing cars into Australia you need to pay scrupulous attention to the import papers. WRT RHD conversion: if you want to go down that route it is fairly straightforward in that you can buy all the necessary components and it all bolts on. Last edited by abowie on Fri Nov 09, 2018 9:41 pm, edited 1 time in total. To be clear, are those costs US$ or Aus$? Just to make it clear too that I'm not touting for business here but just trying to give Tony a ballpark idea of resto costs. Last edited by abowie on Fri Nov 09, 2018 10:27 pm, edited 1 time in total. I prefer play than drive ! the dealer describes it as "rust" free ---- lets see what my inspection report says !!! Everything else is straightforward, especially with the help of the forum, and can be redone quite easily, if you are not satisfied with the result. If I were about to buy an Etype, I would dream of an unrestored original car (preferably no rust bucket). Original- not only matching numbers, but also the other parts that were on the car when it left the factory, or at least as many as possible . Repair - not replace - will retain the feel/ soul of your car. Nobody seems to have mentioned the asking price, so I will. How much? Is that a typo? Starting at that level of cost, sight unseen, suggests that you'll spend a lot more on it than it will ever be worth. You could buy a much nicer car for not a lot more money. Derek Sharp's car was for sale here a little while ago at £120k and was a pin sharp right hand drive OTS. He struggled to sell it at that price and got so disillusioned with chancers that he decided to keep it. I think it's generally agreed that the market for our cars is cooling although there is no sign of a crash yet. The car you are looking at can only be described as a pig in a poke. The vendor has not bothered to include a description of it and hasn't really included enough detail pictures. There are so many things that can be picked at that just scream that the car hasn't been cherished. From what I can see there is no part of this car that doesn't need attention. For me, that car needs to be a third of that price before I would consider it anywhere near viable. The Dino they have appears to be similarly overpriced.